About Us - Waveguide, Inc.
Today, networks are more complex than they’ve ever been and the convergence between fiber and wireless networks only looks to grow faster. People, companies and government expect to have a fast, reliable connection anywhere and everywhere. 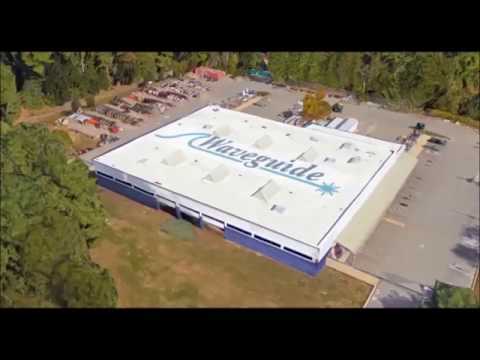 For over 19 years, Waveguide, a woman-owned company, has been building state of the art networks for public safety, Tier 1 wireless carriers, Fortune 500 companies and many others. We are a fully integrated, turn-key provider of network deployment services throughout the East Coast and leverage deep, in-house knowledge of fiber and wireless network infrastructure. From Route Engineering to Integration, from Boston to Miami, Waveguide is building the networks of the future at the speed of light. When you hire Waveguide you don’t simply get a seamless fiber optic project manager. You get an industry leader who understands the fundamentals of fiber optic theory. From underground to aerial, local to long haul, we deliver your project on time. Plus, our high tech roots enable us to identify opportunities to save you money along the way. As majority owner, Jackie co-founded Waveguide in 1998. With 25+ years of experience in the manufacturing and telecommunications industry, Jackie brings invaluable expertise in the areas of financial reporting, banking, treasury, accounting and financial analysis in her role as Managing Principal and CFO. While specializing on financial matters with her team, Jackie collaborates with the senior management team on the establishment and prioritization of corporate goals. Prior to co-founding Waveguide, in 1989 Jackie co-founded and was the CFO at FICO, a $20m privately owned manufacturer of optical products based in Tyngsboro, MA. In 2000, Jackie and her partners sold FICO to Flextronics Int’l, a $26B manufacturer and distributor of specialized optical products based out of San Jose, CA. Rob co-founded Waveguide in 1998 and has 23+ years of experience in the construction and telecommunications industry. As its CEO, Rob brings a great wealth of construction operations practices, fiber optic theory, quality assurance testing, as well as sales acumen to Waveguide. As part of the senior management team, Rob is a key contributor to Waveguide in setting its overall corporate charter and direction and participating in key Sales efforts. Prior to co-founding Waveguide, Rob served in the capacity of Vice-President at J.R. Carmichael Company, a $2m industrial manufacturer as well as installation and service provider of overhead material handling systems based in Billerica, MA. Bob joined Waveguide in 1998 shortly after its inception and has 30+ years of experience in the design, deployment and troubleshooting of aerial and underground fiber networks. Bob is responsible for the Operations department within Waveguide which includes: work load balancing among all field personnel, hiring, safety, fleet management, training, QA, specification compliance, customer satisfaction and project management. Prior to joining Waveguide, Bob was the President and co-owner of Chelmsford Foundations, a $2m concrete construction firm based out of Chelmsford, MA. Bob has a BA in Business Management with a minor in English Composition from the University of Pittsburgh. Steve joined Waveguide in 2007 and has 25+ years of experience in the telecommunications industry. Steve serves in a dual role within Waveguide – serving as its senior most technical resource, validating complex application design initiatives as well as leading Waveguide’s Wireless Solutions Division, that under his direction designs and deploys large- scale and complex wireless, DAS and Small Cell networks. Prior to Waveguide, Steve worked at Sonus Networks as a Program Manager where he led a team responsible for the first class 5 VoIP deployment in China. Steve has also served in senior roles at Ascent/Lucent Technologies, Samsung Telecommunications and Bell Atlantic. Steve has a BS in Electrical Engineering from the University of Massachusetts, Lowell. Ian joined Waveguide in 2012 and has 18+ years of experience in the construction, telecommunications and utilities industries. At Waveguide, Ian is responsible for fiber and construction Sales – opportunity generation, pipeline management and forecasting. He also actively assists with backlog, estimating and booking analyses. Prior to Waveguide, Ian worked for The Fishel Company, a national utility and network design and construction firm based out of Columbus, Ohio. At Fishel, Ian held several key positions including: General Manager of two subsidiaries (Columbus FiberNet and Dublink Development) and Director of Business Development, Telecommunications. Ian has a BA in Management Policy with a minor in English from the University of New Hampshire – Durham.